In a short span of time, Wander Beauty has become a top contender in the makeup and skincare game. Their products are made from top quality ingredients, they actually work and they are incredibly well researched. The woman who started Wander Beauty has done a very good job with the company and I hope that she continues to do such a great job as the company continues to succeed and grow. One of their newest products that I really like is Dive In Moisturizer. This product is a moisturizer unlike others you have tried. It is light, yet gives very deep hydration due to its ingredients. It is enriched with pentavitin (saccharide isomerate) which binds water to the skin and creates a moisture barrier, providing up to 72 hours of deep hydration. Yes, I said 72 hours. That is 3 days. This very potent hydrator is known for its ability to instantly smooth and strengthen skin's natural defenses, preventing any moisture loss. A powerful combination of 13 fruit extracts, including strawberry, raspberry, cranberry and açai defend skin against skin damaging free radicals that cause premature aging. These antioxidant packed fruit extracts are also known to help tone and brighten skin over time. Humectants (ingredients that attract water to the skin) such as glycerin, panthenol and sodium hyaluronate (from hyaluronic acid) attract water like a magnet to the skin, so skin is left plump and hydrated. 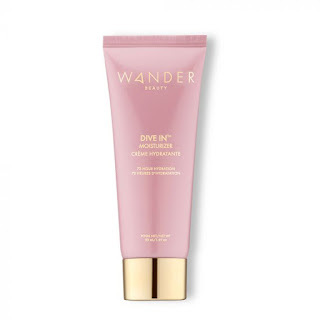 Dive In is lightweight and non-greasy, with a gel-cream texture that absorbs quickly into skin and works well with makeup, for a beautiful complexion. It is cruelty-free, vegan and Dermatologist tested. I love this moisturizer. I use it over my Retin A and serums that I apply every evening. When using a product like Retin A, it is vitally important to keep skin extra hydrated, as it can dry out the skin and leave it dehydrated and dry. I feel this moisturizer does a tremendous job of hydrating the skin and leaving it feeling soft, supple and oh so beautiful without leaving it feeling greasy or slippery at all. However, if you are to use it during the daytime, I would highly recommend using a SPF30 OVER it. Definitely. It is essential that if you are going to be using all of the anti-aging ingredients in this wonderful product, do not undo the results with new photo damage from the sun by not using a sunscreen. It is vital to wear at least a SPF30, preferably a mineral sunscreen, over it to prevent new damage from occurring. Otherwise this product is just about perfect! 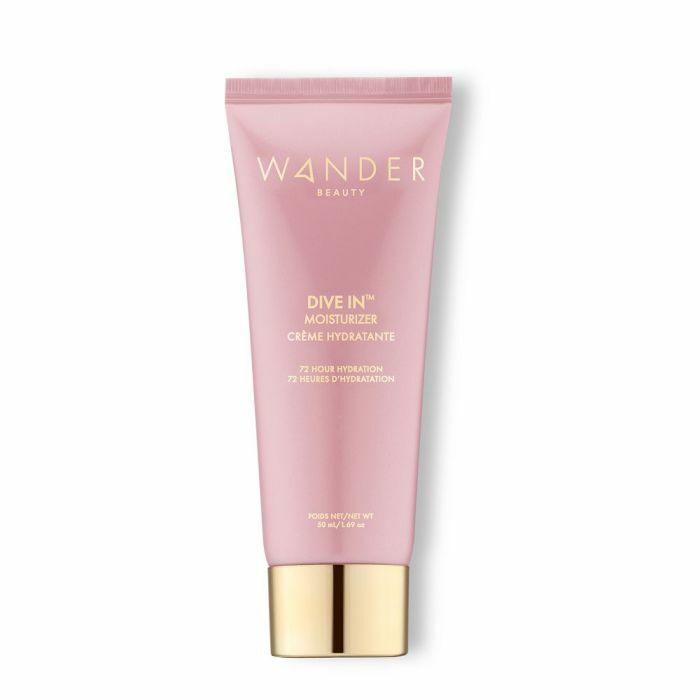 Wander Beauty Dive In Moisturizer comes in a 1.69 fl.oz./50mL tube and retails for $36.00. It can be purchased at www.wanderbeauty.com. Like Wander Beauty on Facebook: https://www.facebook.com/wanderbeautybrand; Follow Wander Beauty on Twitter: @wander_beauty; Follow Wander Beauty on Instagram: https://www.instagram.com/wander_beauty/ and Subscribe to Wander Beauty on YouTube: https://www.youtube.com/user/wanderbeauty.